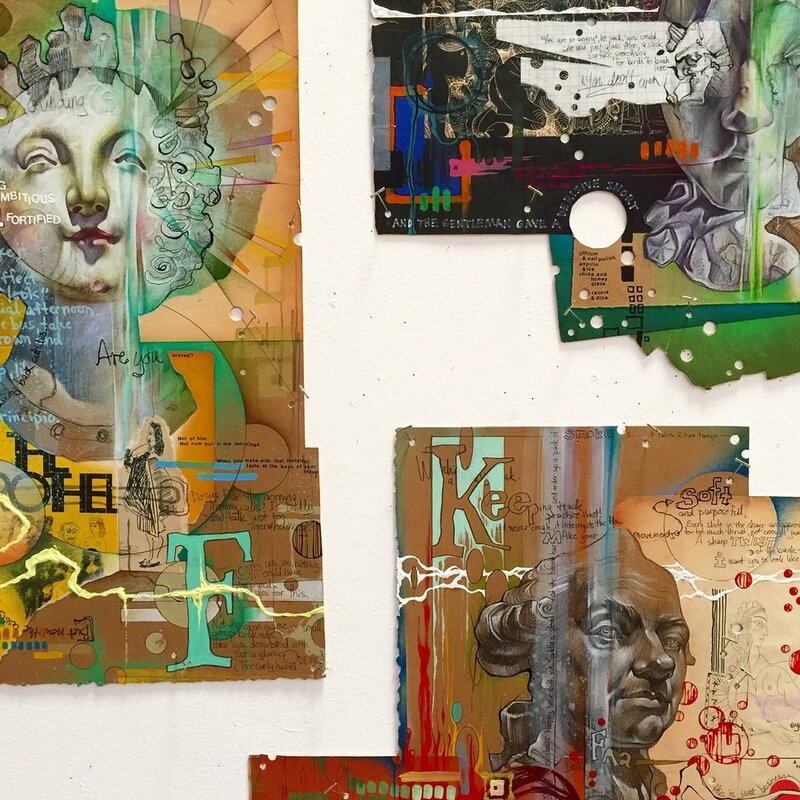 Jason Watson is a mixed-media artist and educator, whose studio practice combines interests in fractured figures, found objects, and fragments of text and pattern as visual materials that both reveal and conceal elusive layers of meaning. His work has been shown at galleries, universities, and non-profit spaces including the drawing installation “Q” at the Mint Museum, the group exhibition “Following Threads” at the Greenhill Center for North Carolina Art, and the contemporary drawing survey “Line ,Touch, Trace” at the North Carolina Museum of Art. His artist residencies over the past several years include the Newark Museum of Art, Cooper Union Emerging Artist Residency Program, the Lower East Side Printshop, the Elsewhere Artist Collaborative, the Ragdale Foundation, and the Oberpfalzer Kunstlerhaus in Schwandorf, Germany. He recently participated in the Lincoln Center Summer Education Forum and completed a residency with the Goodyear Artist Collaborative in November 2018. Watson was awarded the first Wesley Mancini Artist Residency at the McColl Center for Visual Art + Innovation in 2013. He has presented papers and projects at national academic conferences including “Creating in the Queer Diaspora”, a study of LGBTQ creative production in non-urban areas with Queer Caucus for Art at the College Art Association. 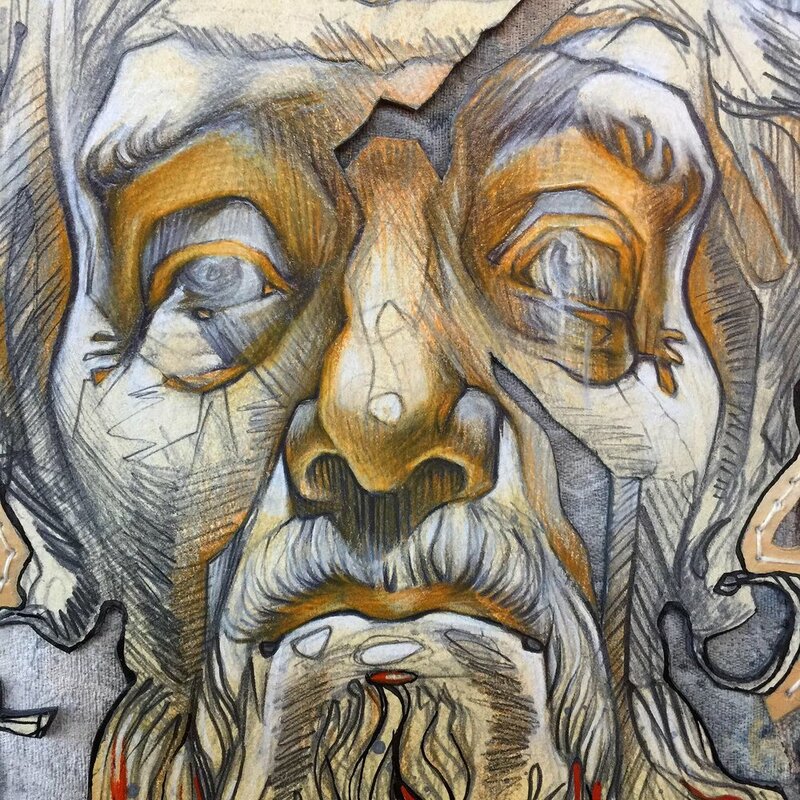 As an art educator, Watson has taught a wide variety of drawing, painting, and printmaking classes and workshops over the past decade at colleges, universities, and arts non-profits. He currently teaches at Central Piedmont Community College and is the Director of Visual Art Programs for Arts+, a non-profit in Charlotte that provides art education to underserved populations.